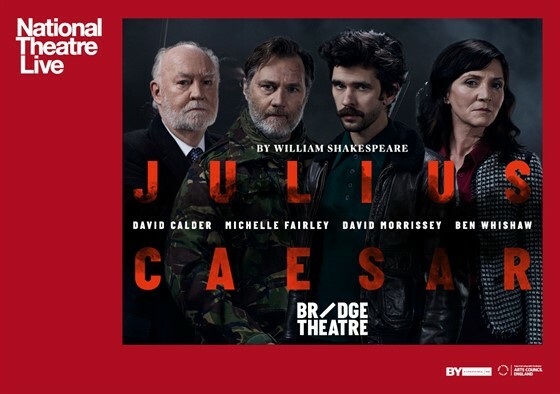 Ben Whishaw and Michelle Fairley play Brutus and Cassius in Nicholas Hytner's staging of Shakespeare's ever-relevant play. Ben Whishaw (The Danish Girl, Skyfall, Hamlet) and Michelle Fairley (Fortitude, Game of Thrones) play Brutus and Cassius, David Calder (The Lost City of Z, The Hatton Garden Job) plays Caesar and David Morrissey (The Missing, Hangmen, The Walking Dead) is Mark Antony. Caesar returns in triumph to Rome and the people pour out of their homes to celebrate. Alarmed by the autocrat’s popularity, the educated élite conspire to bring him down. After his assassination, civil war erupts on the streets of the capital. Nicholas Hytner’s production will thrust the audience into the street party that greets Caesar’s return, the congress that witnesses his murder, the rally that assembles for his funeral and the chaos that explodes in its wake.